The Pathfinder Series Graveknight from the Reaper Bones II Kickstarter is a classic BBEG miniature, in my opinion. There’s something almost silly about the sculpt which, in my opinion, makes it all the more unnerving. This character isn’t wearing a utilitarian outfit, there’s a clear aesthetic but it’s one that’s out of tune with society. I think it was a brilliant decision by the sculptor – Tim Prow – that renders the figure somewhat unnerving to the modern eye. 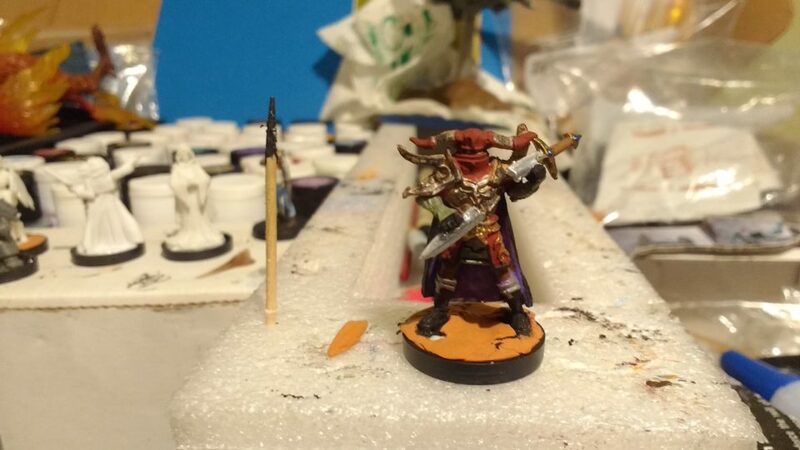 That said, one thing I didn’t like about the miniature was it’s skull club. It felt out of place to me. 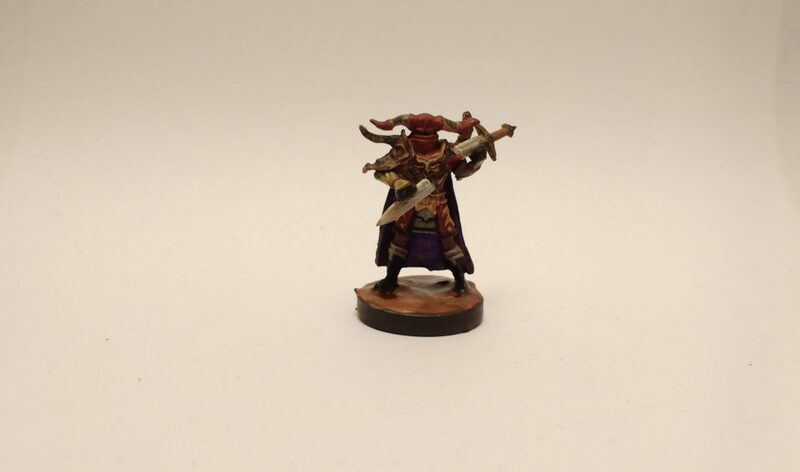 I’m not using this miniature to try to intimidate players – I want it to unnerve players. 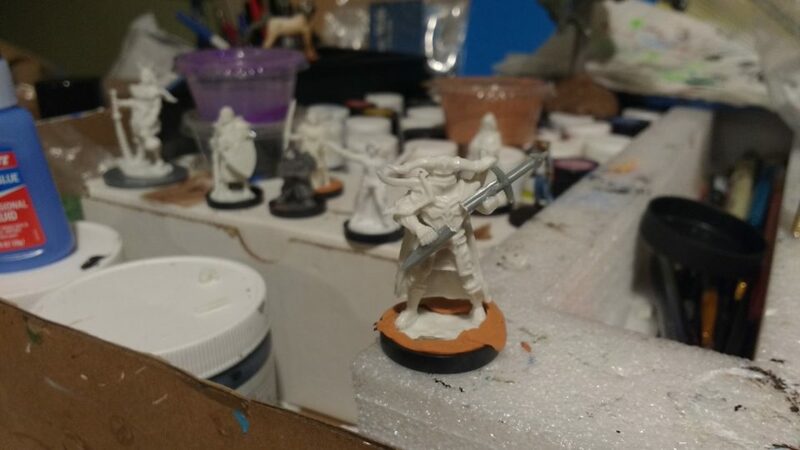 So I cut out the skull club – I’m sure I’ll find a use for it later – and added in a great sword from the Reaper Bones II Kickstarter. Only the figure isn’t wielding the sword, it’s casually snapping it half. Two things freak out my players more than anything else – mind control and item destruction. I’ll leave the mind control to the Aboleth…but I’m curious to see the reactions to a miniature that visually cues “careful, I might destroy your precious items”.